I’m a High School Senior. I Want Safe Schools and Gun Rights. I’m a High School Senior. We Can Make Schools Safer Without Curbing Gun Rights. 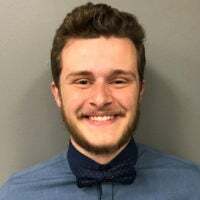 Will Farthing, 18, is a senior at Hickory Grove Christian School in Charlotte, North Carolina. Since the shooting in Parkland, Florida, students across the country have shown support for increased restrictions on gun ownership, and the media has given these students massive amounts of attention. As an 18-year-old who supports the Second Amendment, I can’t help but notice that teens who share my beliefs are being largely ignored. 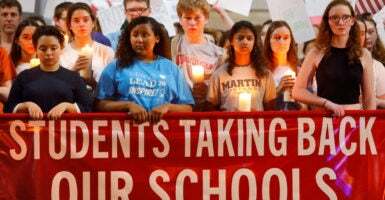 Almost all of the students featured on cable news networks do nothing but criticize the National Rifle Association and claim that anyone who does not support their cause doesn’t care about the victims of school shootings. The media coverage is not only biased but morally deficient, in that the large networks lie and insist they are politically neutral while propagandizing for one particular side. All the media attention has brought about new gun control proposals in certain parts of the U.S. While some of these proposals may curb gun violence, most will curb gun rights. The Florida Legislature recently passed a bill that, among other things, raises the minimum age at which it is legal to buy a firearm from 18 to 21. Considering that almost all school shootings are perpetrated by minors, most of whom obtain their guns illegally, it seems like this law doesn’t really address the issue it was created to fix. If Florida’s new policy won’t help solve the school shooting problem, why do gun control advocates insist on stripping millions of teens like me of our constitutional right to bear arms? The unjustifiable targeting of young people’s rights aside, 18-year-olds in Florida now can be forced to fight for their country abroad with a gun while being unable to protect themselves with one at home. Maybe it’s just me, but that level of inconsistency should not be permitted in America. Realistically, raising the minimum age at which it is legal to purchase a rifle, as Florida now has done, will not reduce the frequency of school shootings in any substantial way. Although I doubt that reality will stop political propagandists from pretending it will. For those of us who support the Constitution, Florida’s new law is just another example of liberal idealism limiting the rights of citizens, while also failing to accomplish its goal. America should focus on enforcing the laws we already have and improving background checks for gun purchases. The United States already has multiple policies designed to prevent mentally unstable people from getting the chance to commit large acts of violence with firearms. In fact, if the Obama administration hadn’t pressured school districts to lower their discipline rates to combat the “school-to-prison pipeline,” maybe the Parkland shooter, 19-year-old Nikolas Cruz, wouldn’t have slipped through the cracks and the justice system would have prevented the tragedy that occurred at Marjory Stoneman Douglas High School. Regardless of past failures, everyone knows that determined shooters will find a way to get a gun. All the restrictions in the world won’t stop a deranged teenager from taking a parent’s rifle and trying to murder his classmates. We should evaluate the merits of placing more law enforcement officers inside public schools in protection of our most precious asset, American children. Having at least one cop inside every school would mean that no school is a sitting duck, waiting to be eviscerated by a lunatic. My school, Hickory Grove Christian School, has armed police officers on campus at all times, among other safety measures. Students feel a great sense of safety knowing that anyone who wishes to harm them will be met by trained personnel. The argument over armed guards on school grounds ultimately will be decided by state and federal politicians. Will they decide that protecting our nation’s students is worth re-allocating money from other government programs? I hope so. As a nation, we should not let the victims of the shooting at Marjory Stoneman Douglas High School die in vain. We need to stop with the rhetoric that more gun control laws will make any notable difference when it comes to preventing school shootings. A study published by the Crime Prevention Research Center shows that France and Belgium, countries with much stricter gun control than the U.S., have a higher death rate per capita as a result of mass shootings than America does. So if gun control doesn’t prevent the kind of tragedy that occurred in Florida, why is that what so many people are fighting for? Change is needed, but that does not mean we have to strip law-abiding citizens of their rights. America ought to institute, by law, background checks that have measurable results and state budgets that will provide law enforcement protection for all students. Let us defend our children and our rights at the same time. Instead of driving an intellectually dishonest and corrosive wedge between an already divided American public, we should take meaningful action and protect our students.